4 Shopping for Tile Ideas? With the amazing selections of ceramic tile available today, maintenance is a big part of keeping it looking new. 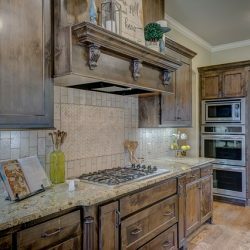 Ceramic tile is the best material for kitchens and baths. It has a proven track record of durability that outlasts all other types of wall coverings. Today’s sophisticated use of materials of manufacture for ceramic tiles makes it easier to maintain. However, an annual professional cleaning and maintenance can preserve the life of these tiles far longer and extend their value. 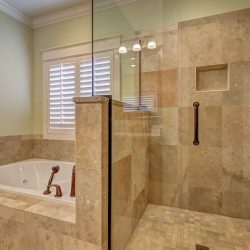 In most cases, the simplest way to avoid soap film from building up on tiles made of ceramic material in the shower area is to immediately wipe down walls after each use. This simple step will keep tiles looking clean and bright and prevent soap film from getting a start. Tile is attached to walls with a trowel and mastic adherent applied on the back of each tile. Sheetrock under tile in the shower area should be waterproof. Elsewhere, this isn’t necessary unless the wall is subject to high humidity or in areas like kitchen back splashes. Tile spaces are then filled in with grout, a substance that seals all of the spaces between tiles. Grouted areas also build up soap film. Tile and grout should be cleaned and maintained according to recommendations by the tile manufacturer or your tile supplier. In the Queens, New York area, Home Art Tile provides a wide variety of these tiles. Home Art Tile professionals will also provide detailed information on how to clean and maintain the tile you purchase from their collection. Home Art Tile offers free estimates and a comprehensive design service in addition to world class tile designs and styles that suit any home decor. Home Art Tile has earned a reputation for excellent customer service and design, installation and consultation loyal customers’ appreciate. Shopping for tile can be a most enjoyable experience at Home Art Tile’s Queens, New York showroom. 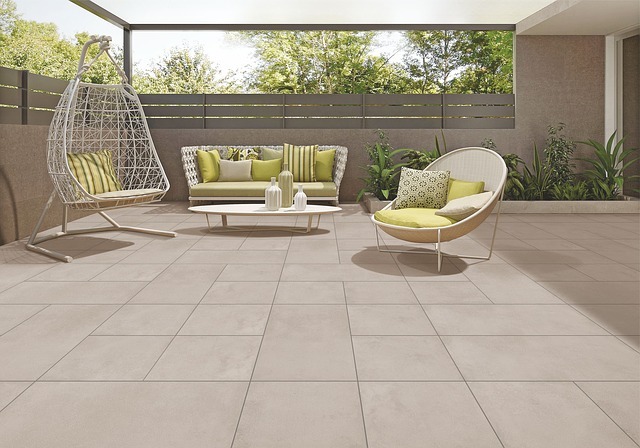 All shoppers need to do is glance around at the high quality tiles available and select from a host of colors and designs to increase the value of any home. Professional contractors rely on Home Art Tile for their new and existing projects. Home Art Tile experts help residential customers throughout their tile design installation or tile replacements. The Queens showroom is the ideal place for tile shoppers to explore the design of their dreams. Discuss with Home Art Tile experts the proper care and maintenance of your newly installed tiles. This will insure lasting durability, as well as protecting tiles from unnecessary damage from chemical cleaners. Often, tile cleaners contain chemicals that deteriorate the tile and grout surfaces making them more absorbent to soil and film. Some contain ammonia or bleach that scratch tile surfaces and leave a hazy film behind. The helpful, friendly staff at Home Art Tile will discuss proper tile maintenance.